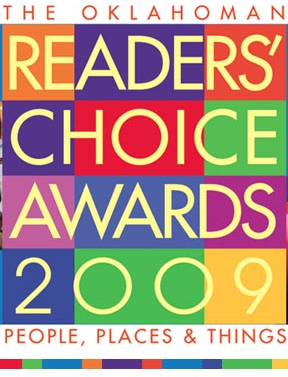 Readers Choice Awards :: Last Day for Nominations! Today is the last day to nominate your favorite businesses for the Oklahoma Readers Choice awards! Every year I somehow don’t hear about it and so I’ve never had a chance to actually vote in it before, but this year we heard about it (albeit the very last day). So I just plugged my favorite companies in a handful of categories. Just wanted to let you know in case you enjoy these kinds of things! You can check it out at http://newsok.com/readerschoice but you’ll want to do it today since today is the last day for nominations. Photography is under Shopping: Local Retail: Categories N-Z if you’re looking for a place to nominate us. =) Hope that doesn’t sound too self-promoting… but you’re on our blog, so we’d like to think that you’re a fan. =) If you’re having trouble remembering good nominees for pizza, Humble Pie was mine, of course!